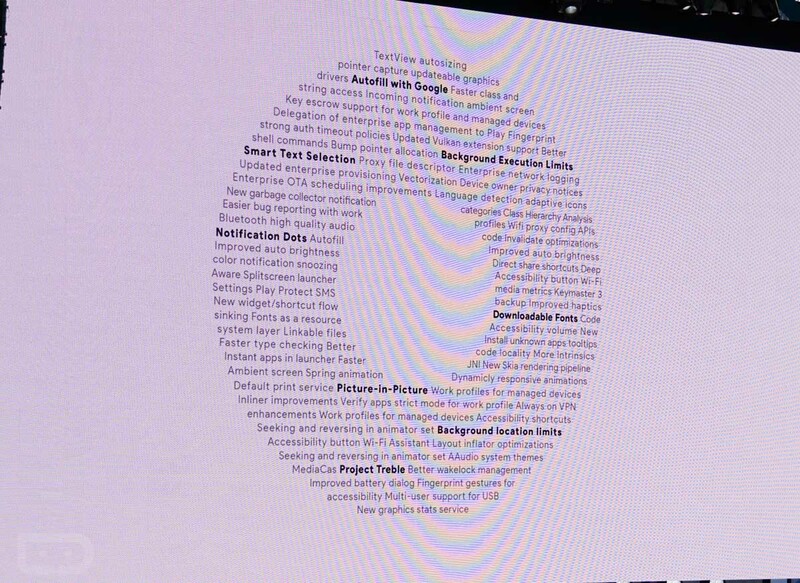 So, today at Google I/O 2017 keynote, the Android team put up an image which has all the new Android features in letters. Also, they posted a changelog of everything that's new but not everything.We see these each year, where Google puts all of the major new OS features into the shape of whatever the new letter is for the new version of Android. This year, it’s an “O” obviously. 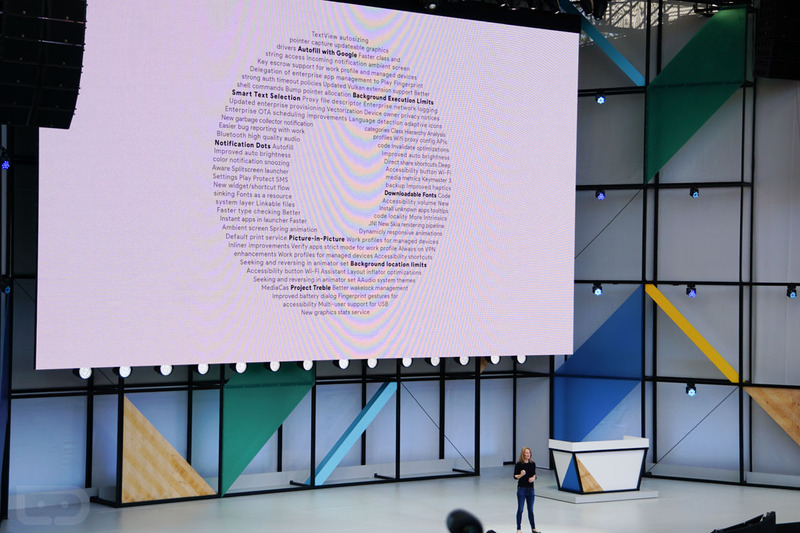 Below, you’ll see a closer shot of the list of Android O features, but we’re already picking out features like Smart Text Selection, Autofill with Google, Downloadable Fonts, Picture-in-Picture, and something that might be a game-changer, Notification Dots. But Project Treble is there as well, along with Faster Ambient Screen, and OTA scheduling. Be sure to sign-up for the Android O beta. What else are you seeing that stands out?